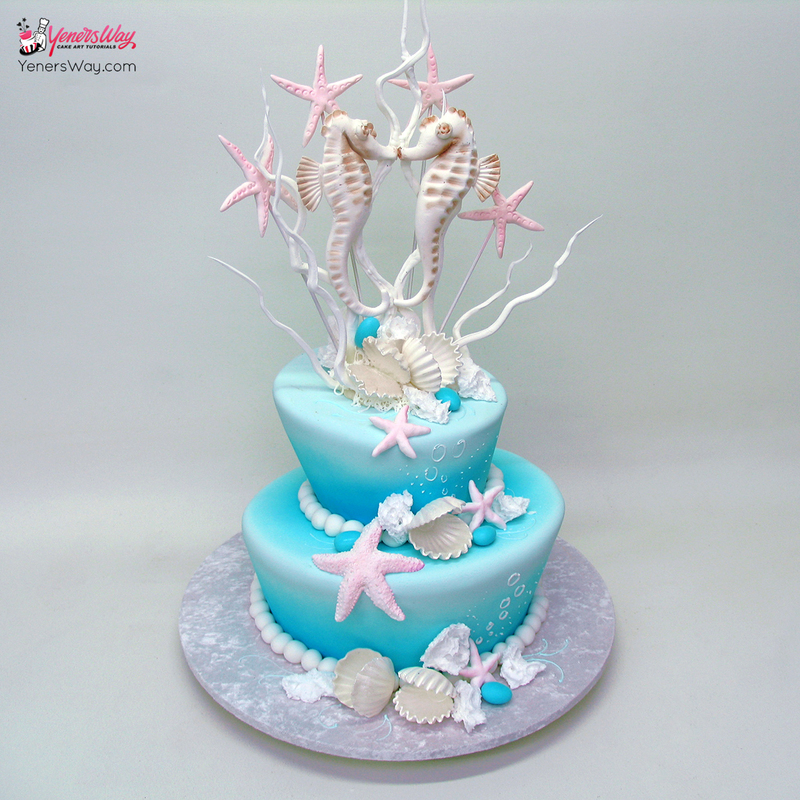 Mad hatter style wedding cake in an underwater scene decorated with two kissing seahorses made from pastillage. Underwater scene of a scuba diver. 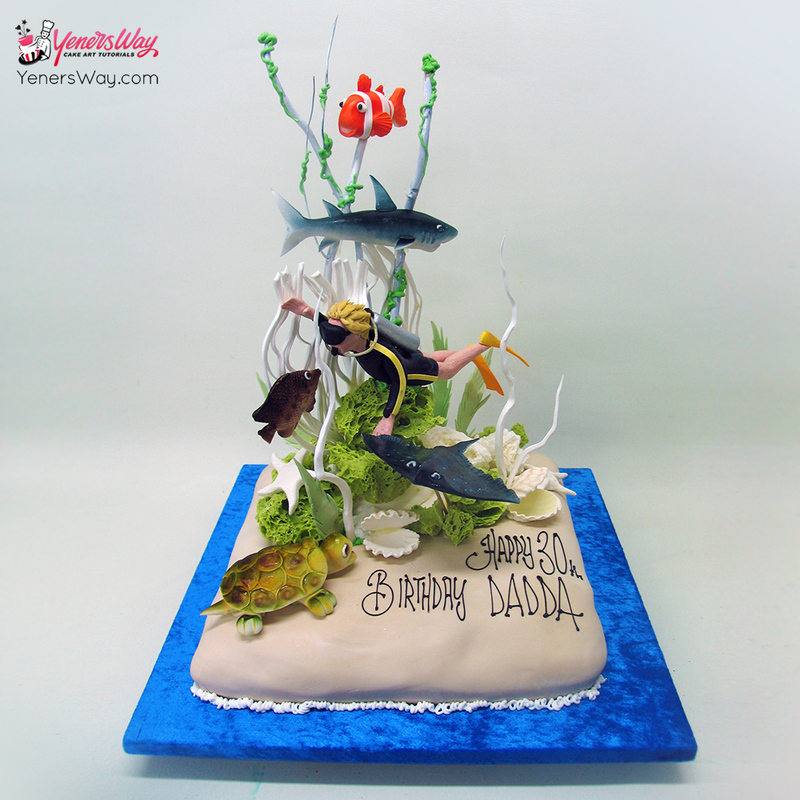 All decorations are made with pastillage.